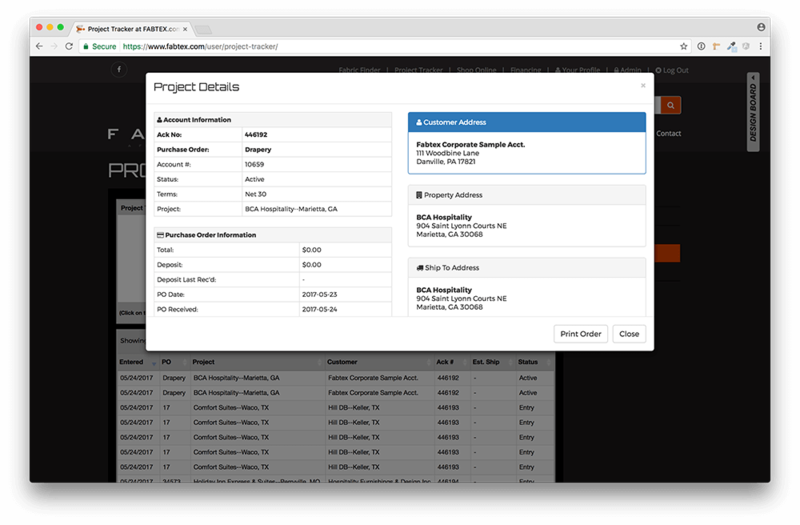 We are proud to offer you an updated direct “insiders” link into your projects via Fabtex Project Tracker. FPT has now been completely revamped to enhance service and information flow to our valued customers in real time. Access order progress just as our Project Managers and Sales team do! Customized reports can be designed and delivered to your email at times and intervals you specify! Fabtex not only provides great quality, high value bed coverings and window treatments for you and/or your customers, through FPT and its time saving information flow, you are able to recapture some of your workday, allowing you to handle other tasks and responsibilities. 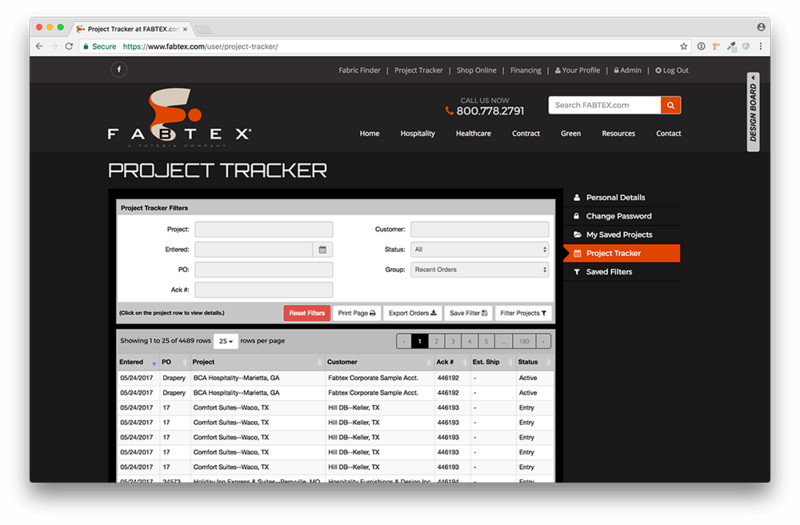 The Fabtex Project Tracker is designed to be a very secure way to provide up to date order access. To view your order information, go to www.fabtex.com and click on the Project Tracker link at the top of the page. If you are not already logged in, the Fabtex.com website will prompt you to log in. Please enter your Username (or email address) and Password. We encourage you to log on and try FPT soon, and to give us constructive feedback. If you have any difficulty with any of the aforementioned procedures, please email us at support@fabtex.com, which will be directed to our technology department for assistance.